Work related stress and backache initially brought Judy to Yoga. Yoga so successfully enhanced her quality of life that it led to teacher training with The British Wheel of Yoga. As a Minded supervisor she keeps up to date with latest research and concepts in the yoga world. Everyone can gain from a programme of Yoga and Mindfulness tailored to suit their particular needs, whether physical or mental. Judy teaches in small group settings and one to one. She has been a yoga supervisor since 2015. 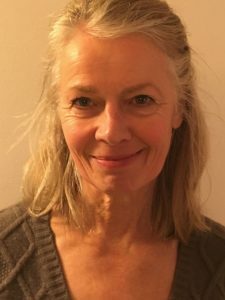 She also teaches The Yoga for Mental Health 8 Week Course and is currently working in the Hampshire / Sussex area with people facing a variety of challenging circumstances, for example prisoners, school students and adults.